Oh well…Take a look at these Musical Theatre news headlines from Valentines past as we skip through the rose-beds of Theatre’s great romances. And then ruin them. 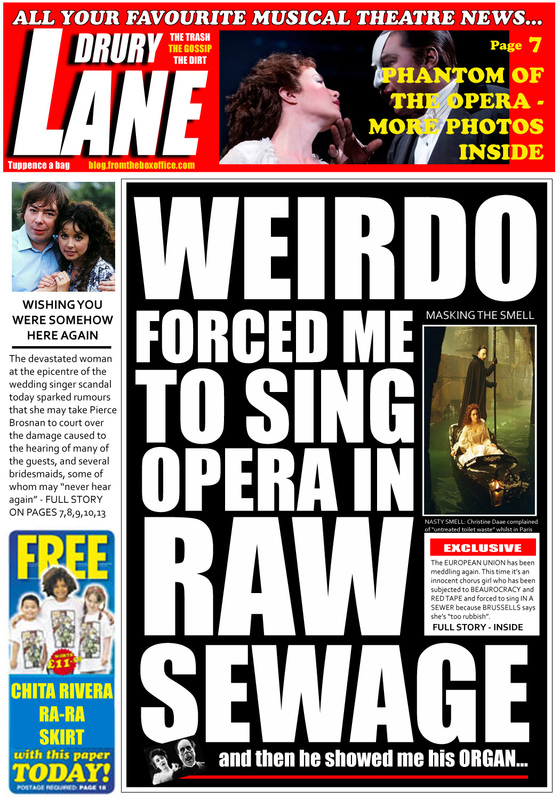 Phantom of the Opera – The Real News Headlines circa 1986….